I can’t really remember too much about acquiring this horn. 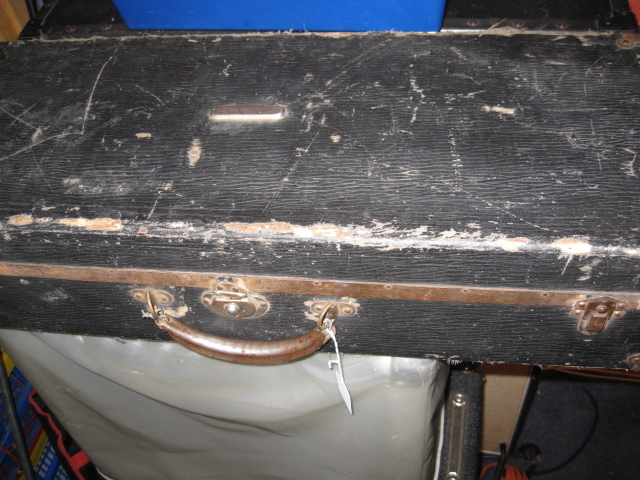 I know I already had quite a collection and believe I bought it from Magginisupplies before having it repadded by my favourite saxophone technician. I’m not even sure when it was. I know I already had my Conn C Melody at the time. However I was attracted to owning a Martin, even if only a ‘stencil’. 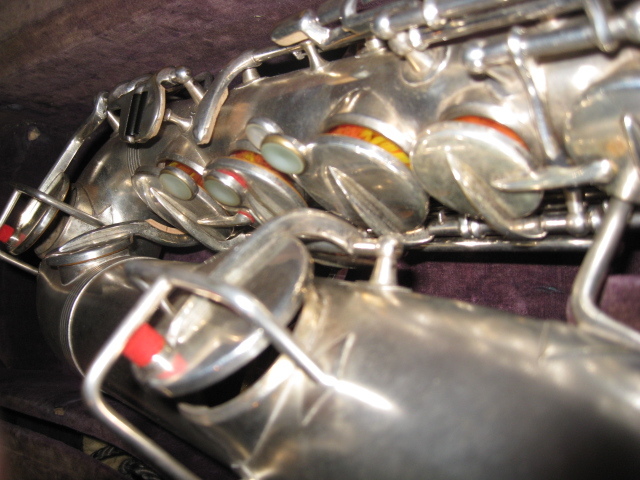 C Melody saxophones are pitched with the C as middle C. They are slightly smaller (perhaps an inch) than a tenor saxophone whose C is pitched as Bb and a lot smaller than an Alto, which of course is pitched in a higher Eb. 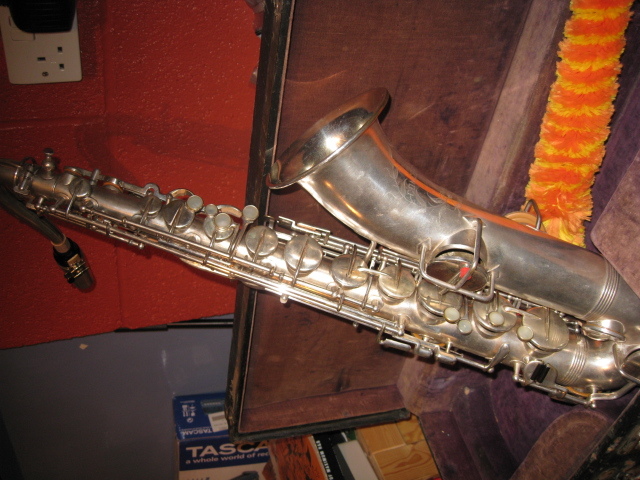 The saxophone market boomed from 1920 onwards, spurring hundreds of thousands to take it up in America. Instruments in concert pitch have the advantage of not forcing the player to transpose, so a C Melody player can lean over a pianist and read the melody easily. Most were sold for parlour music at home. It’s clearly a fully featured and functional Martin, although it carries the name ‘Concertone’. As I’ve mentioned before, the use of the word ‘stencil’ is used in the saxophone world to denote an instrument made by one manufacturer for another. In this case I haven’t been able to find any mention of a company called ‘Concertone’, so I imagine this was merely a different brand used by Martin in a similar way to Gibson’s use of Epiphone in the guitar world today. 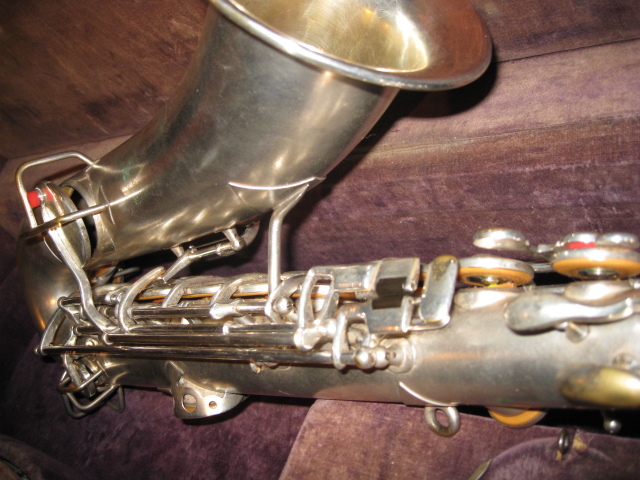 The horn is marked ‘Low Pitch’ in characteristic Martin font on the back and ‘Concertone’ on the front. It has all the keys you’d expect from a first line horn of the time and, in fact, is very similar to my Handcraft alto I reviewed earlier. 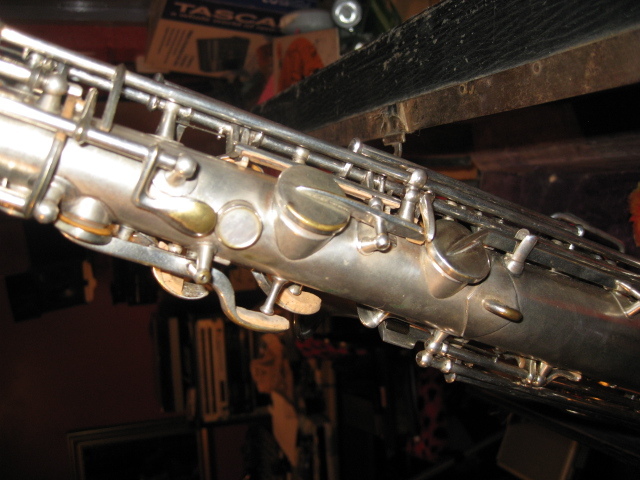 Silver-plated, it has the typical Martin bevelled tone holes which rise straight and then slope inwards for the last quarter of an inch on the bigger holes (and less on the smaller ones). It is expertly made in keeping with my other Martin instruments. With due respect to the C Melody Forum and all of its adherents I must admit that I don’t like C Melodies. In part it’s because I have Bb and Eb etched into the left side of my brian and find it difficult to pitch the instrument in C, but it’s also because there’s something particularly thin and nasty about all the C Melodies I’ve tried. Of course production of all C Melodies stopped around 1930 when the Wall Street crash put paid to home entertainment – at least until Aquila started making them again in the last few years. I must try a modern one to see if the sound limitations of my horns can be improved upon by a modern version. 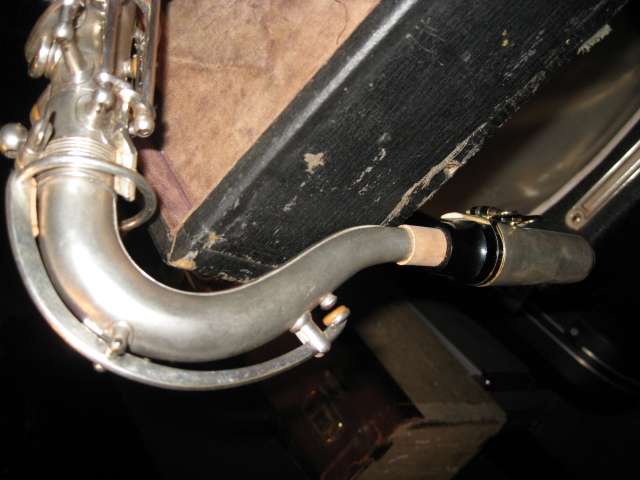 The action on this sax is very well-balanced – in fact, like my Handcraft alto, you find the semitones between D and E and between G and A rather too quick. If I was to play either of them regularly I’d have to practice on slowing my little fingers down. I bought my ebonite C Melody mouthpiece from Michael White in Ealing many years before I acquired the horn. As usual you can hear what it sounds like in my video clip. 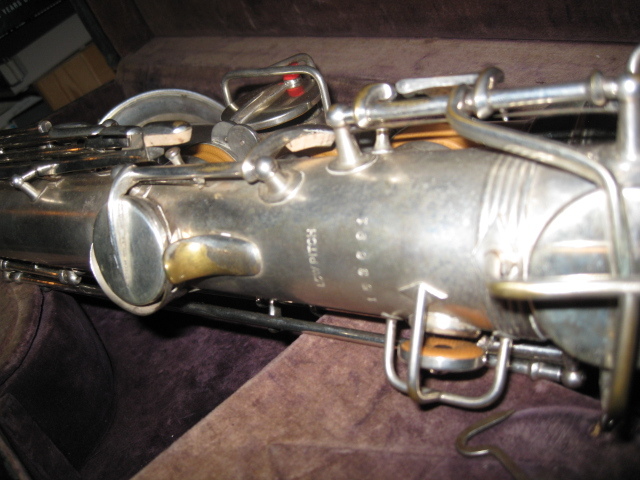 There’s an excellent review of a Martin C Melody sax on shwoodwind and there’s more than enough information on C Melody saxophones including a Forum at CMelodysax, of which I am proud to be a member. Do you own a C Melody? Do you play it out much? Please let me know by commenting on this post. I have had this C melody since 1960, when my father bought at a pawn shop in Jax. I have never played it. 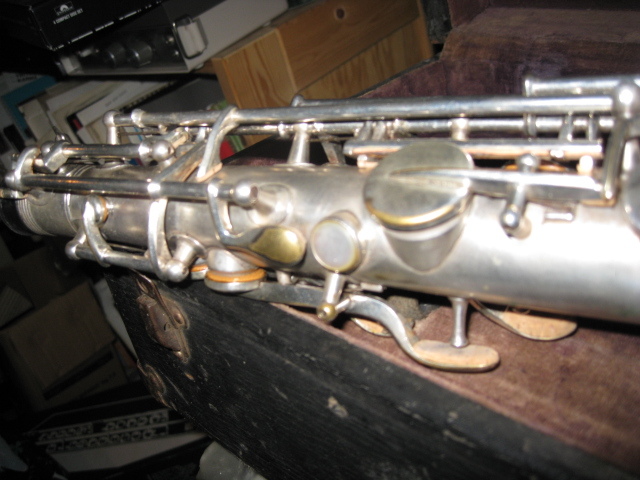 I played clarinet and Alto Sax for many years but haven’t played since my 1990 high school band reunion!! I would not even know what type of music would be suited to this instrument. Many thanks for the comment. My advice would be to try one first. For tenor players the restricted bore and close, but different tone make C Melodies frustrating sometimes. For classical clarinet players I think they can be really fun – it just depends on your approach. Let us know how you get on – they’ve become very popular in the last few years. Don’t pay too much! 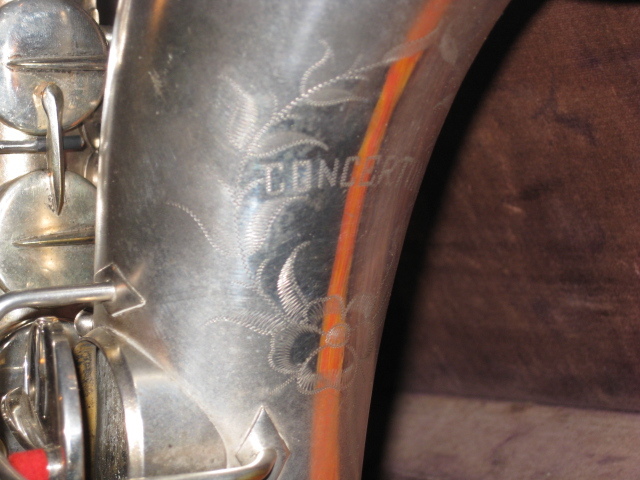 I inherited a saxophone which is marked Concertone on the front and C low pitch 184845 on the back. 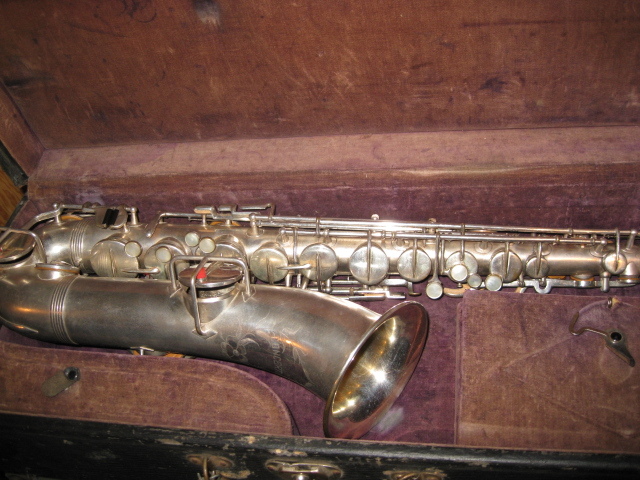 My father was born in 1911, and I have a picture of him holding this saxophone when he was in his late teens or early 20’s. Any suggestion as to value? Thanks for contacting us. I suggest looking at ebay – the prices depend very much on conditiion. Send us some pictures if you’d like us to feature the horn. Sepan disculpar la ortografia, q es la del traductor..